Following the announcements about Exchange 2019 at Ignite, people are processing what they heard and seeking clarifications about some details. One of those questions is whether a free hybrid license will be available for Exchange 2019. The answer is no. You can certainly assign a license to an Exchange 2019 server and have it host the hybrid configuration wizard, but the free license is only available for earlier versions. Microsoft made recent changes to the licensing of hybrid servers, but the hybrid license for Exchange 2019 is linked to the decision to only license Exchange 2019 through volume licensing. In other words, the only place you’ll be able to download Exchange 2019 software is from Microsoft’s volume licensing site. This includes future cumulative updates for Exchange 2019. This change in direction is linked to Microsoft’s focus on Exchange 2019 as the mail server for large enterprises who don’t want to move to the cloud. Concentrating on volume licensing is certainly a way to serve large enterprises, but it might be less convenient for smaller organizations. Microsoft has been made aware of this concern and is considering how best to resolve the issue. 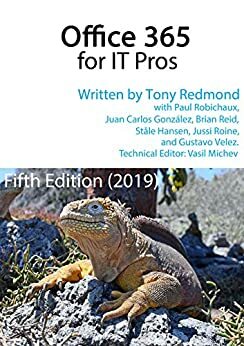 For more information about hybrid connectivity, read the Companion Volume for the Office 365 for IT Pros eBook. We bundle the Companion Volume with the main book if you buy the PDF/EPUB version, and it’s available separately for Kindle.